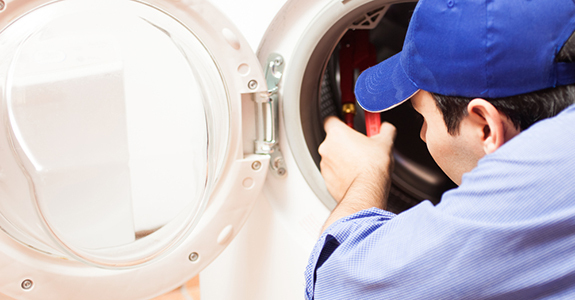 Glyn’s Appliance Repair Service has been Miami’s trusted appliance repair and maintenance company for over 45 years. We provide in-home repairs for major home appliances, and can work on products built by most of the industry’s best-known names. Call us today for efficient service and excellent workmanship! From your refrigerator to your washing machine, your household appliances likely get a lot of use day in and day out, and you rely on them to make housework easier, less time-consuming and more efficient. That’s why, when one of your appliances starts acting up, you probably notice the effects right away—and need help as soon as you can get it. This is where Glyn’s Appliance Repair Service comes in. Since 1969, our team has been providing in-home appliance repair in Miami and the surrounding areas, and our goal is to always provide fast, effective and high quality repairs and the level of customer service you’d expect from a family owned and operated local business. We provide in-home appliance repair and maintenance services. We are a local, family-owned and operated company serving Miami clients since 1969. We offer warranty service through American Home Shield. Our team can work on all makes and models of home appliances, excluding gas appliances. Our rates are competitive and our response times are fast. For home appliance repair and maintenance services, contact the team at Glyn’s Appliance Repair Service today.